Where are we? What? Oh, that’s right South Dakota, er, Wyoming, er, Montana. After four straight days of travelin’, a different campsite every night, road weariness begins to set in: a bleariness in the eyes, ringing in he ears, a dullness in the brain, and dog “spats” between Roscoe and Louis—all symptomatic of the urges to return to a home that is not moving. 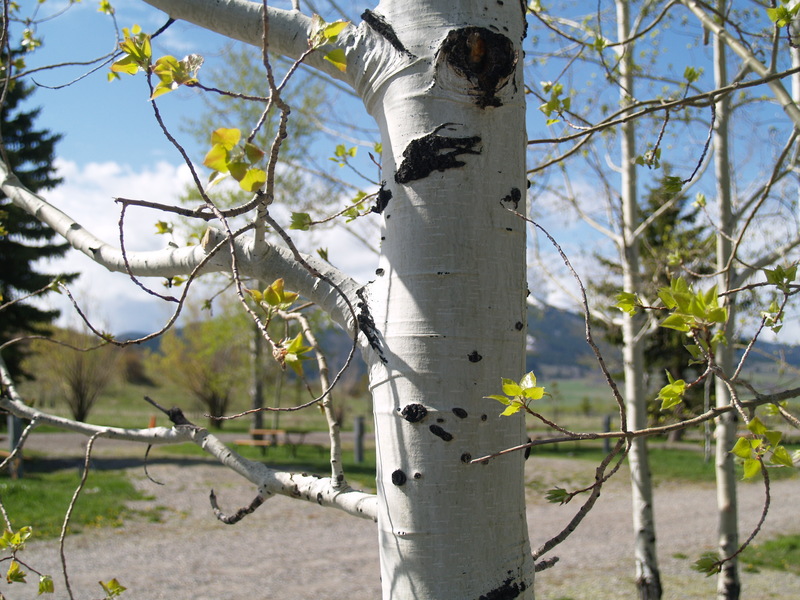 After a night at the Kamp, I expected the campground at Sundance to be a whole lot better. It wasn’t. 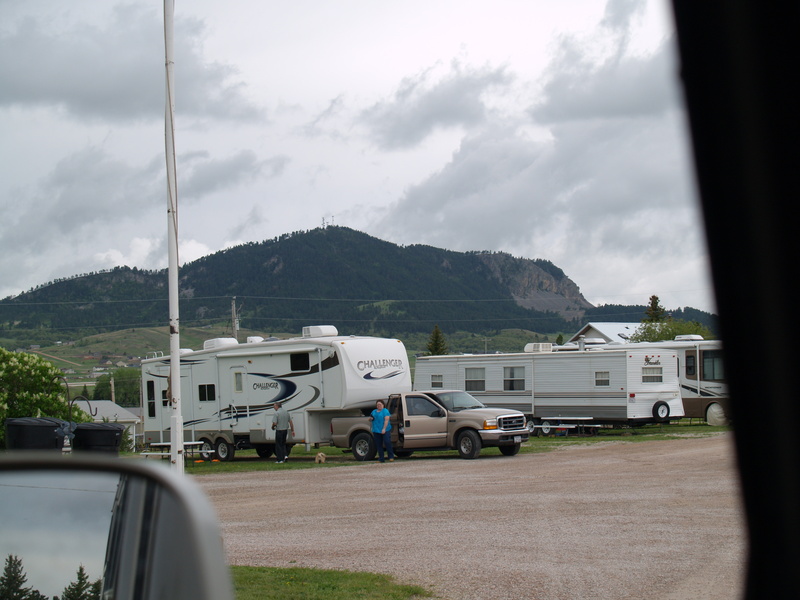 Mountain View RV Park and Campground, just outside of Sundance, might be described as a little campground nestled into the Black Hills of Northeastern Wyoming. Looking at their website, they give you just enough of a glimpse of some of those picturesque hills to make you believe, especially after five hours on the trail, that you have truly found your overnight mountain respite. 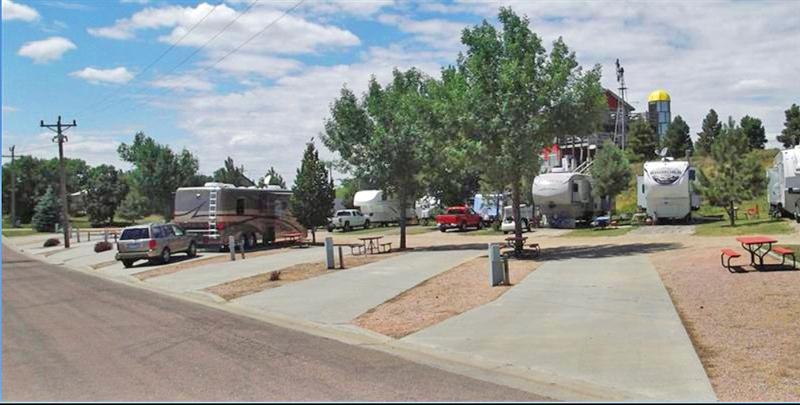 But it is just a place to park your RV. 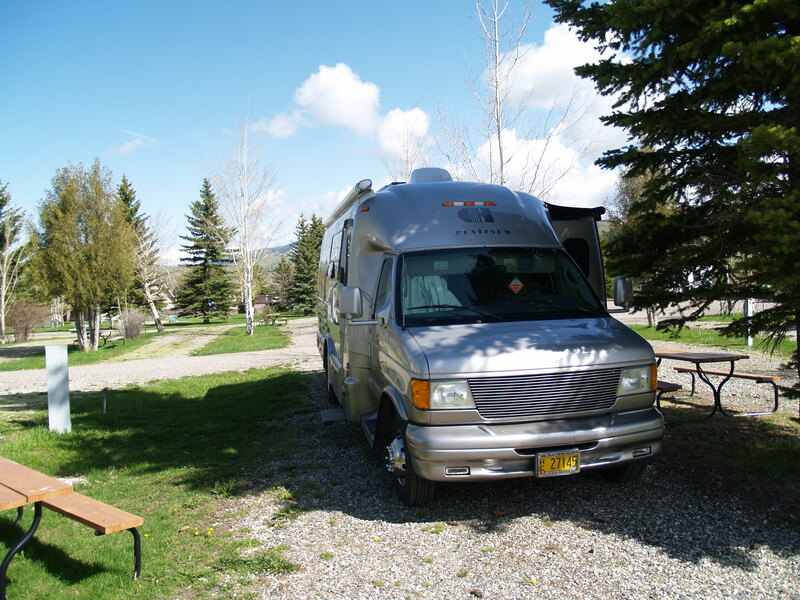 If you don’t set yourself up to expect too much from these places, if you just accept the RV park as just that—an RV park—then you can begin to appreciate the little amenities like the good views of the Black Hills that they do have, immaculately clean laundry facilities, an endless supply of quarters, and very friendly owners. The negative stuff like full-timers who act like they own the place (clearly, there is a cast system among Park dwellers that clearly define the lines between those who claim higher status because they are full-time Parkees and those of us who are just passing through) I just laugh off; you see this played out in real time when everybody’s dogs meet each other; what humans think about, dogs act out. The show piece of the Park, a sheet metal cut out of an almost life size bull elk braying (do elks bray?) to the sky (calling for a mate?). Finally, the self-aggrandizing nature of the names of these Parks are always to be suspected. Mountain View? Okay, very good views from where we are. Entrance to Sundance Mt. View Park. Lower level. 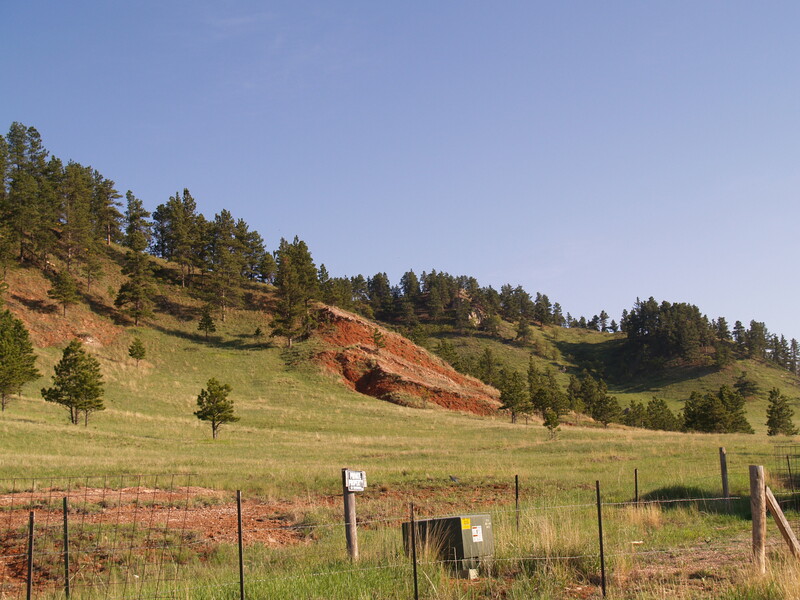 View to the south from park: north end of Black Hills. Early morning in the Black Hills looking southeast. 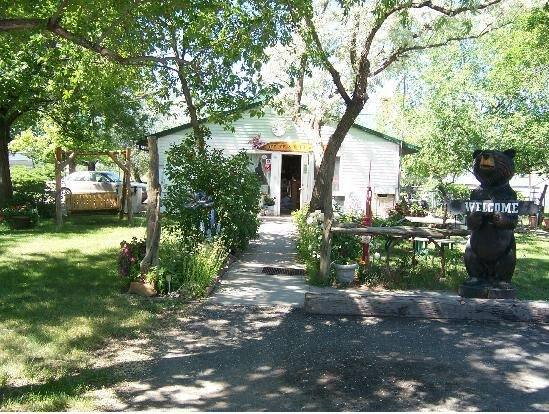 The picture above is of the office as you first pull into the campground. Because there was a major thunderstorm headed our way, bringing wind, rain, and possible hail, the nice lady put us under the trees just to the left of the office. There was a storm with thunder and heavy rain, but rather than causing nervousness and anxiety, we instead felt calm and serene, sleeping soundly through the night. 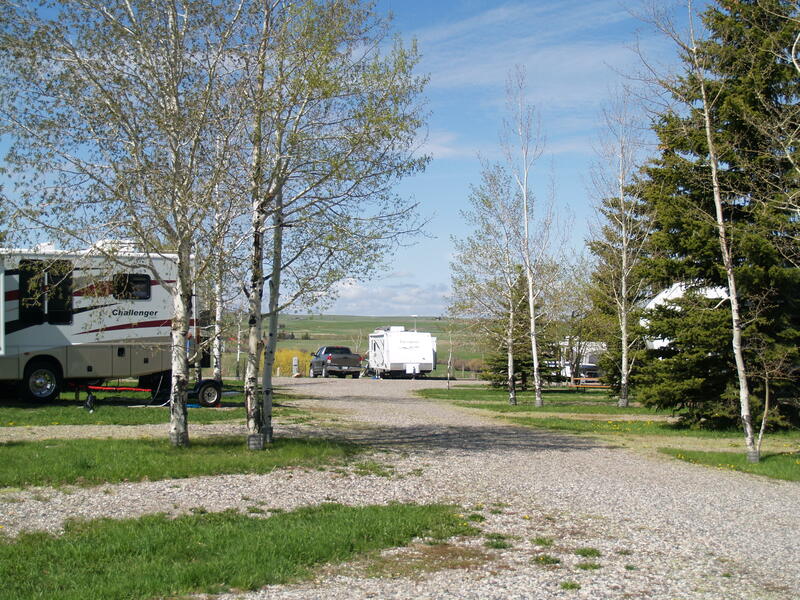 Left the American RV Park and Kamp in Murdo, SD, this morning. Not much of a camp. Not sure of the emphasis on “American” in the name of this park. It certainly did not distinguish itself in any particularly “American” way. 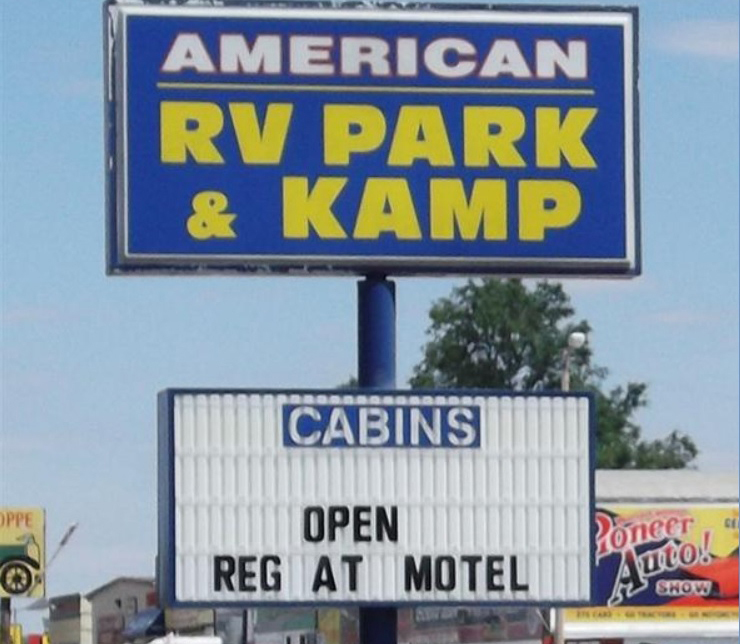 I didn’t see a single American flag, and at the very least if you’re going to call your RV park the “American RV Park,” then you have to have an American flag. Nope. Not a one. Also pretty interesting is the deliberate misspelling of the word camp. Obviously, who ever thought of doing this had a different result in mind. Perhaps swapping the c for the k was intended to show a bit of camp or cutesy or maybe the intent was to be deliberately satiric, for such a thing is certainly possible even for a [k]ampground in the middle of the great red state of South Dakota. The irony here is that the misspelling is an unintended reference to leftists and revolutionaries of the sixties. In broadsides and alternative press newspapers, writers would routinely misspell America for Amerika, American for Amerikan to express a kind of skepticism about the meaning of the word. Using the word Amerika is intended to debase or discredit the original word, to associate it with controversial or repugnant political philosophies. I think of Marx’s Das Kapital (communism); or the Ku Klux Klan (racism). So Kamp is really some kind of debasement of camp. Not really a camp in the normal sense, whatever that would be. Also, if this is a Kamp, why aren’t there Kabins? On the road this morning by 10:00 am, gassed up, with only one stop at Target in Missoula to find a 12 volt charger for the Garmin. With that accomplished, and under dark and ominous cloud cover, we steered Coach House for highway 94 east, leaving the “Hub of Five Valleys” (the convergence of five spectacular mountain ranges: the Bitterroot Mountains, Sapphire Range, Garnet Range, and Rattlesnake Mountains). 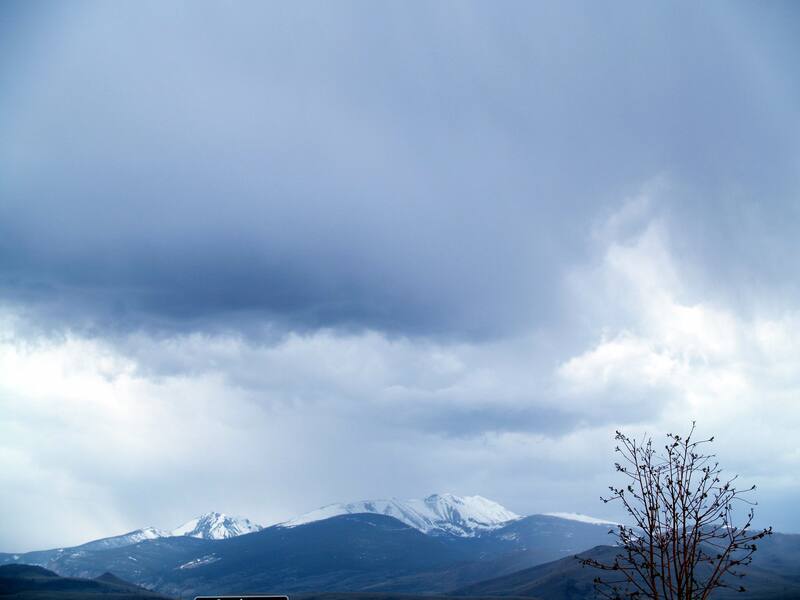 It’s easy to see that in this part of the country winter is only just releasing its formidable grip; dark clouds, chilly temperatures, and snow-covered mountains seem impervious to all of the early signs of spring. Driving 94 is a matter of weaving our way through these mountains which rise above us from all directions. 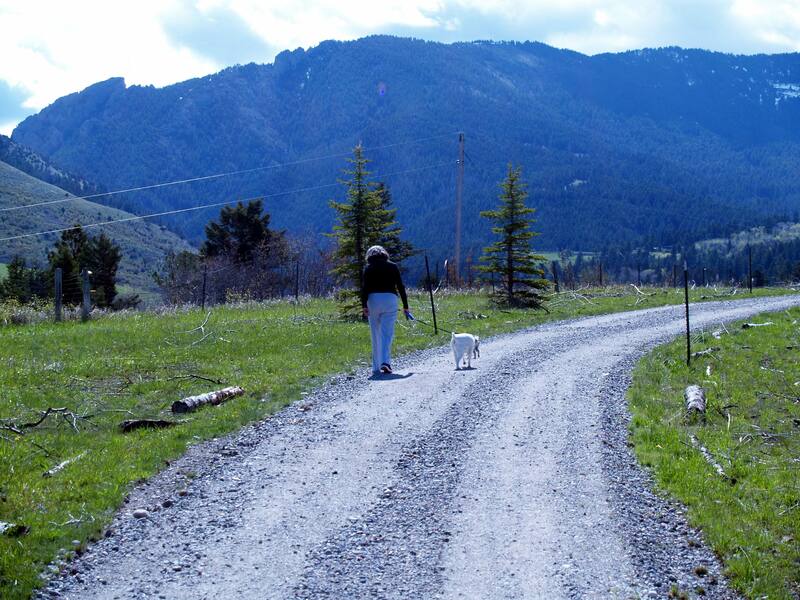 We ascend gradually from the 3,200 foot elevation of Missoula to the 5,500 foot elevation of Butte. Ominous clouds above the snow-covered Sapphires remind us that winter is still around. We have noticed that many towns in Montana share a penchant for displaying a distinctly visible initial on the side of a convenient hill. The origin of these “hillside monograms” are steeped in small-town history, local culture, with a touch of self-aggrandizement. It seems like every small town I’ve every lived in has a “hillside monogram” somewhere outside of town. Certainly, graduating seniors of small-town high schools (like Condon High School in Condon, Oregon, for example) have created their own town monograms using spray paint on the side of rock formations, after which the town fathers, under the threat of no diploma, are requested to remove said monogram. If you are interested in the origins of these monograms, here is an essay I found on the Mountain Monogram website written by Berkeley professor James J. Parsons: “Hillside Letters in the Western Landscape” (1988). 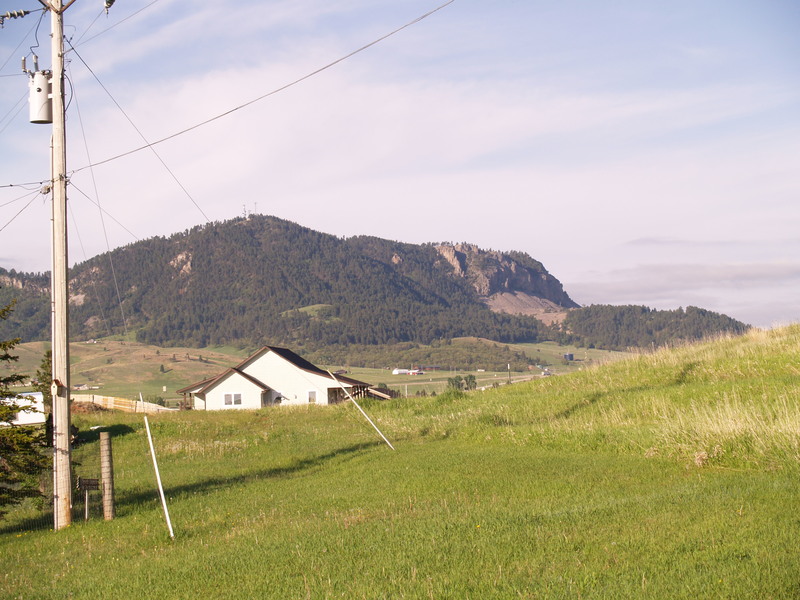 Passing through these small Montana towns, tall spires on church steeples guide the faithful to these houses of worship. 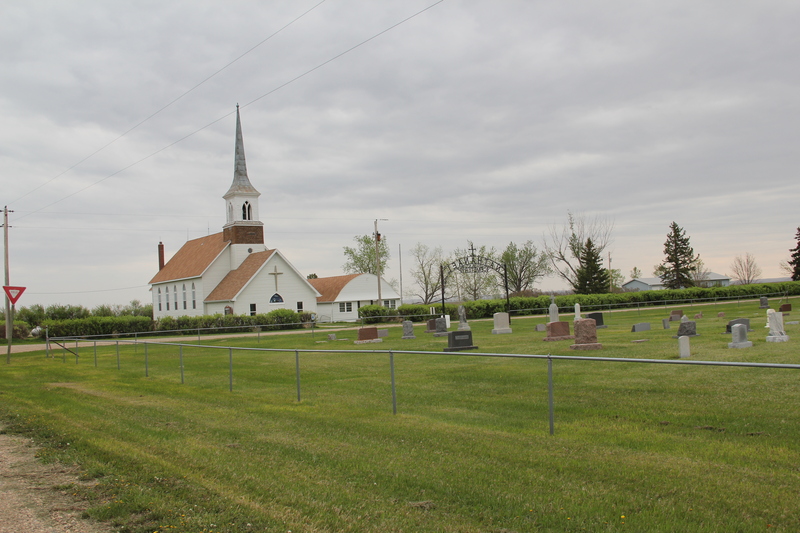 We can see these iconic churches from the highway. Montana church below is typical of the kinds of churches that dot the Montana landscape and whose steeples can be seen for miles away. 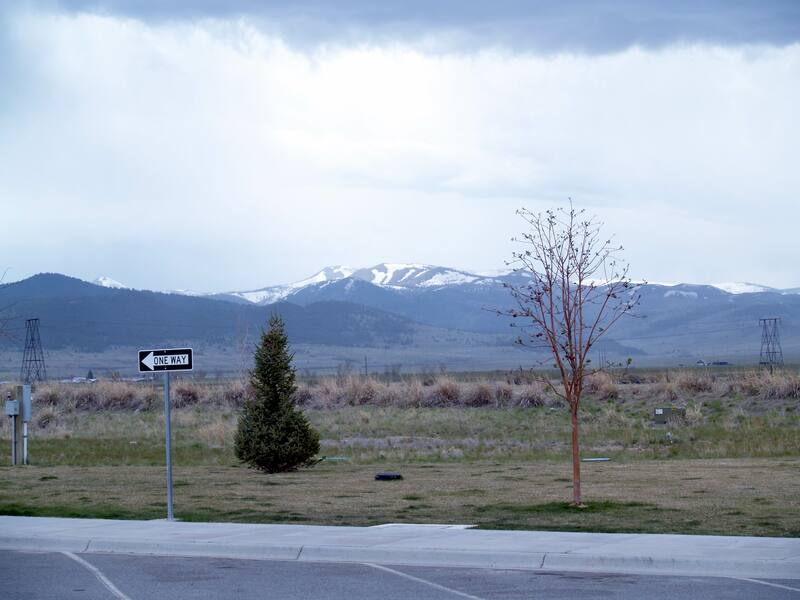 From Butte, we begin to descend into the beautiful Gallatin Valley and Bozeman. 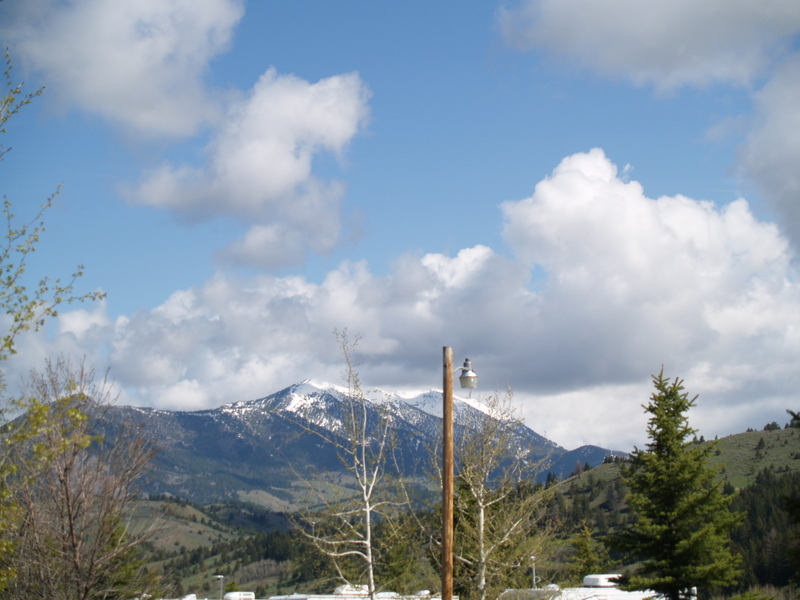 Bozeman’s elevation is at 4,800 feet and the city is situated at the foot of several mountain ranges that surround it. Five miles to the east we found Bear Canyon Campground. We didn’t arrive until around 6:00 pm, much later than we usually like stop. Strong storm-generated head winds slowed us down almost the entire way here. 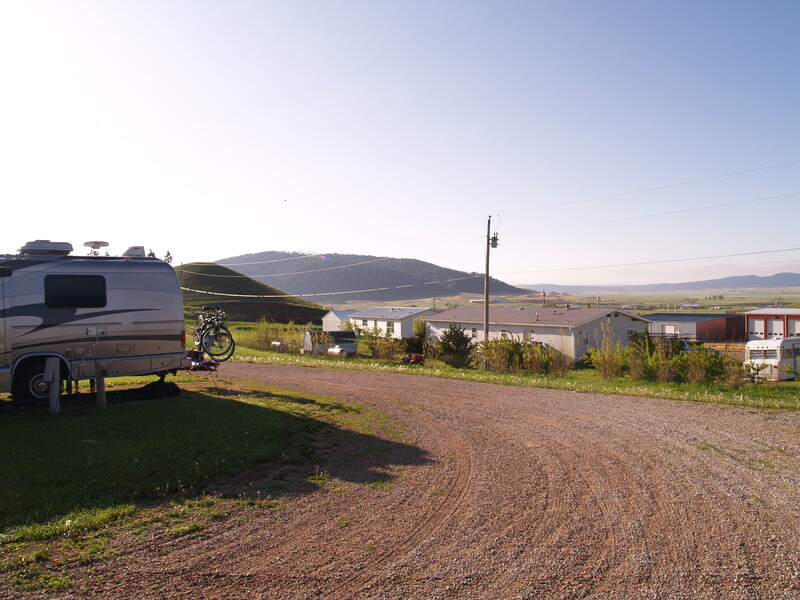 The campground sits above the din of perpetual highway 90 traffic. Very few campers here, as has been the case for most of the overnight campsites we have stayed at. It’s the perfect time of year to camp. Heavy rain during the night; bright sunshine expected to greet us for tomorrow’s early start.